Is a 'necklace bag' the new fanny pack? As if our neck posture wasn't already ruined from checking our phones. Brace yourselves, fashionistas: If the latest trend spotters have their way, you'll be wearing all of your most important belongings in a whole new location: around your neck. Yep, they're called "necklace bags," and based on several images cropping up on the runway and in Elle magazine, they're the new cool way to avoid wearing a purse. Or needing pockets. Elle considers this a look your dad might wear, because it seems like the sort of thing a father might use while on vacation, stuffing it with a map or passports, currency or even credit cards. Smart travelers wore it inside the shirt and under an arm, to deter pickpockets, though it made it pretty difficult to access when needed. 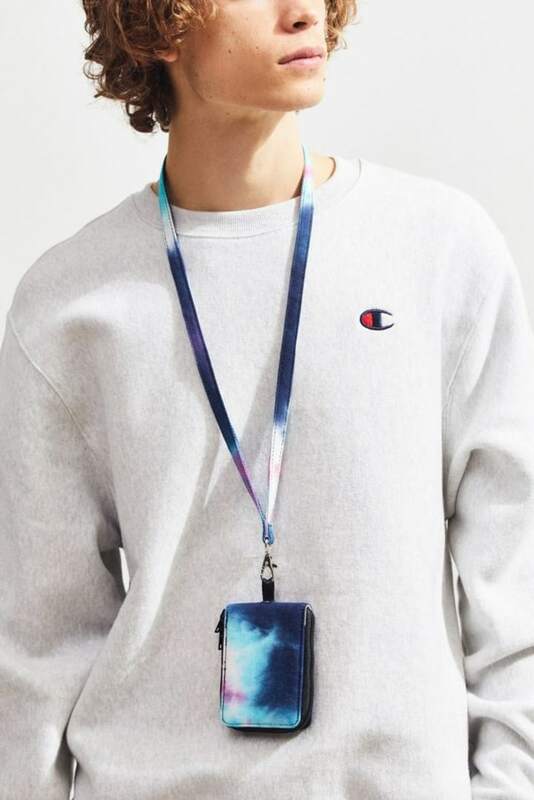 Well, hide that necklace/dad bag no more: It's out and about and reminding us a bit of the lanyard you clip onto your name tag at conventions. Also, feed bags. And amulet pouches. Perhaps this is actually a way for the New Agers in your life to carry their crystals? And while the necklace bags of yore might have been handmade or low budget, leave it to designers to make the simple pack too expensive for most of us: Elle notes that Alexander McQueen sells one for $380, Balenciaga has one for $695 and Prada's is a mere $570. According to Elle, Gucci was displaying a version three years ago, but other designers are popping up in Spring 2019 collections. But let's face it, fashion isn't really about functionality. And anyone putting anything heavier than a few bucks or a credit card in these itty-bitty holders is only going to be adding on to the neck strain they likely already have from bending over their smartphones all day. At least mini-purses are cute. If you are interested in trying this trend, here are a couple of suggestions. This affordable version comes in plain black or tie dye. It's a cotton pouch that opens with a zip-around pull tab. The inside is expandable, double-interior with a divider to store your cards, cash or small items. 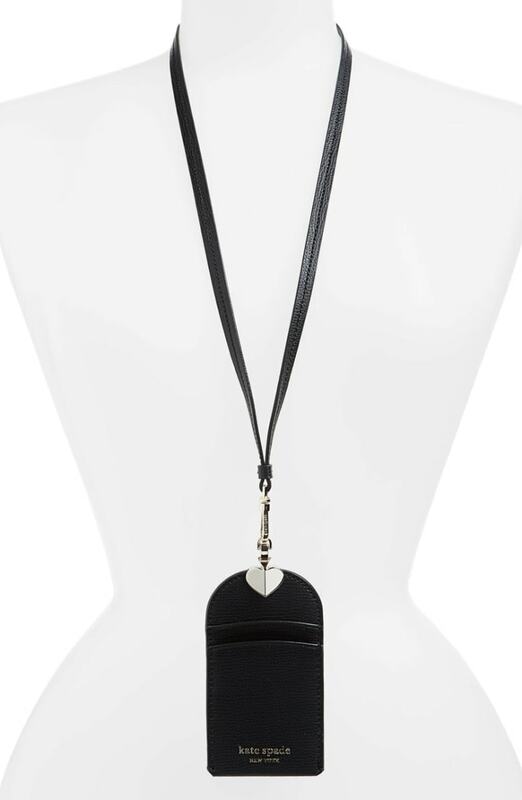 A chic spade logo clasps this coated-leather lanyard to securely carry your ID and credit card. If you're fully ready to commit to the trend, then this is the bag for you. 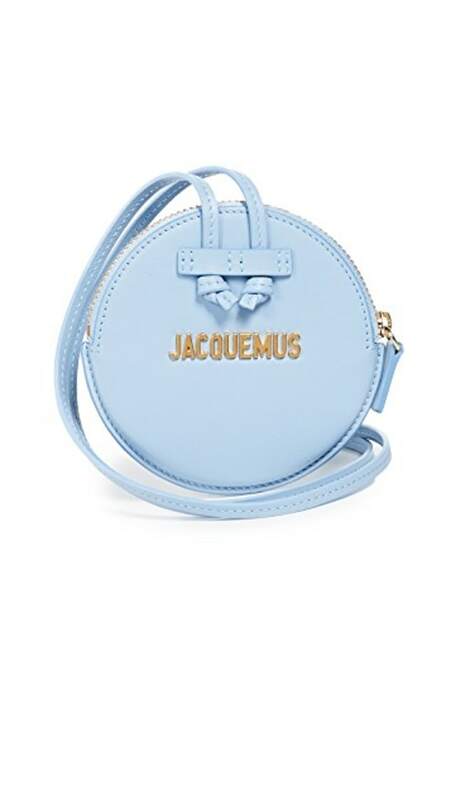 This leather necklace bag was made in Spain and is available in blue, green, white and black. We think we're sticking with fanny packs, which, by the way ... are back in fashion!